Seagrasses are flowering plants that are specially adapted to live fully submerged in saline environments. They form carpets of rooted vegetation on the seabed, referred to as meadows or beds. 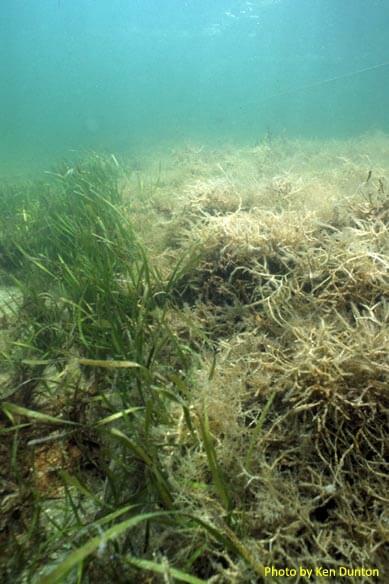 Seagrasses, like terrestrial plants, require water, nutrients, and light in order to grow. Their high light requirements restrict the depth at which they can grow; therefore, underwater light availability is often the limiting factor restricting seagrass survival. For this reason, seagrasses are usually found in shallow waters where they are able to receive ample quantities of light and nutrients. In Texas, several studies have clearly delineated that their minimum light requirements hovers at about 18% of surface irradiance. Seagrasses are generally found within calmer waters, protected from wind and wave action. In Texas, seagrasses are found within the sheltered, shallow coastal bays, but in other parts of the world they can be found offshore in shallow shelf waters. Seagrasses anchor themselves to the sediment using rhizomes, which are oriented horizontally several centimeters beneath the sediment surface. 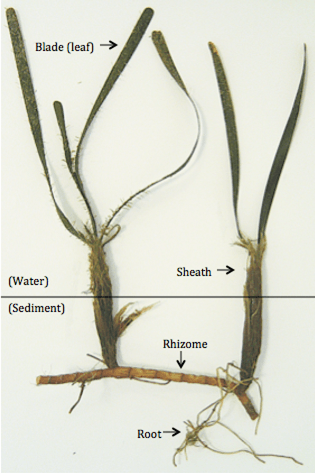 Smaller roots extend outwards from the rhizome. Similar to terrestrial plants, the sediments beneath seagrass meadows are densely packed with extensive rhizome networks. In fact, 60 to 80% of seagrass biomass is locked in belowground tissues, which helps stabilize the plants and allows for nutrient uptake. Seagrass leaves form within individual shoots, bundled in thin protective sheaths that grow vertically upwards from the rhizome. Aside from the invaluable services that seagrass provide, they also play a vital role within the Gulf coast economy. The Texas coast is a destination for recreational fishermen and tourists, and seagrass meadows experience heavy boat traffic, particularly in the summer. Recreational fishermen contribute to local economies by means of lodging, charters, marinas, and purchasing tackle. Not only do seagrass meadows play a role in the recreational fishing industry, but they support commercial fisheries as well. 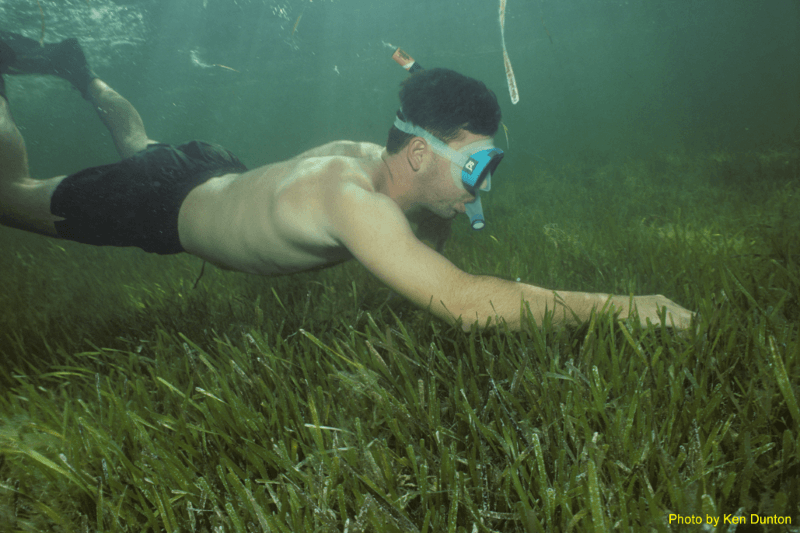 Life within seagrass beds can be easily observed while snorkeling, providing a unique opportunity for tourists; enhanced water clarity allows admirers to observe marine fauna within their natural, undisturbed environments. Consequently, tourism, commercial, and recreational fishing are important sources of revenue for local coastal economies. Seagrass habitats provide countless functions that benefit human and marine populations alike, but what would happen if they were to disappear? The two main factors that threaten seagrasses and their overall health include: 1) environmental disturbances, and 2) anthropogenic impacts. Natural disturbances occur when severe wind or wave action result in increased turbidity and erosion of seagrass beds. 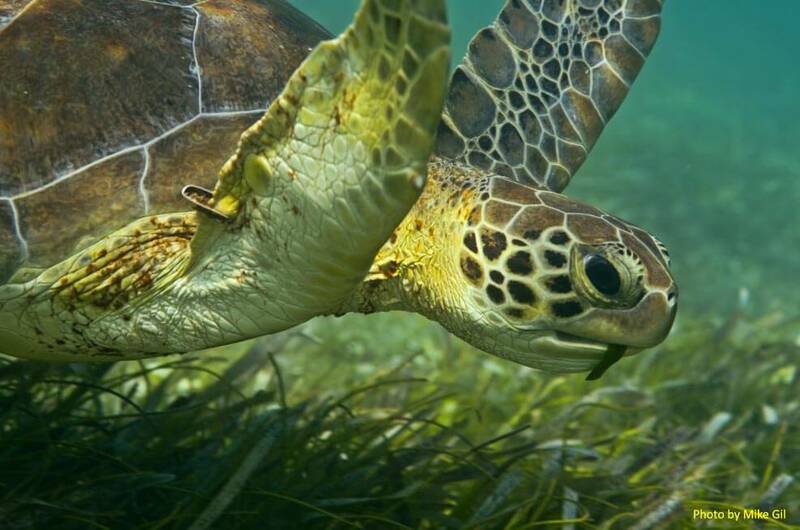 Hurricanes, large storms, and damaging currents can uproot seagrasses completely. Other climatic factors that may result in seagrass habitat loss include modification of the local salinity regime (e.g. from too much or too little freshwater inflow). Most of these natural disturbances are short-lived or ephemeral events and seagrasses generally rebound quickly from these circumstances compared to human induced influences. Anthropogenic impacts may result in seagrass habitat loss both directly and indirectly. The greatest anthropogenic threats to seagrasses are: nutrient enrichment, urbanization, dredging and channeling, and commercial and recreational boating. Nutrient enrichment (eutrophication) occurs when there is an additional input of nutrients, such as nitrogen or phosphorus, into watersheds that drain into coastal lagoons and bays. These nutrients may be introduced directly from an industrial pipe or a wastewater facility or indirectly via storm water or agricultural runoff. Excessive nutrient conditions are optimal for promoting and supporting rapid algal growth within surface waters. These dense algae blooms can outcompete benthic seagrasses for sunlight and reduce water clarity. 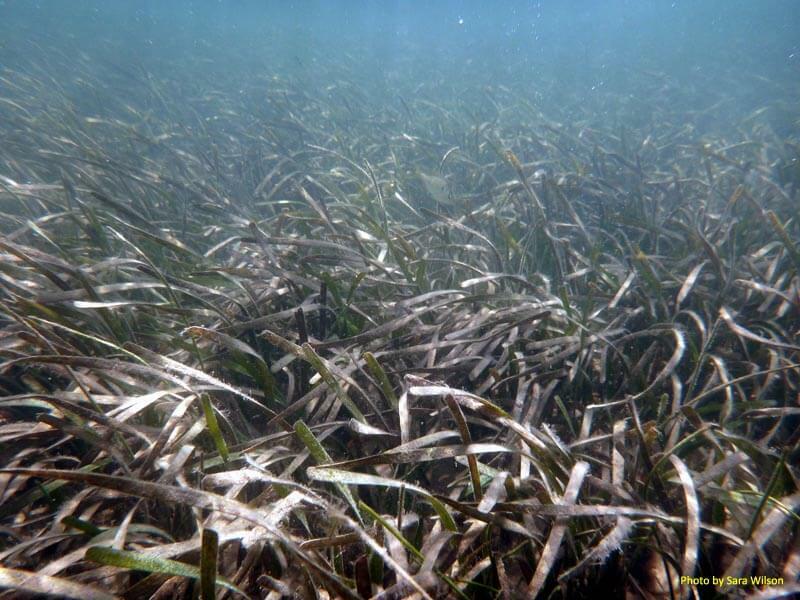 Lower light penetration to the seagrass canopy results in a decrease in net photosynthesis, reduced seagrass biomass, and an overall decline in seagrass health. Urbanization can result in seagrass loss by physically altering coastal habitats or increasing impervious cover; these changes can lead to increased nutrient loading within coastal systems. As coastal communities continue to grow and develop, demand for more groins, jetties, and seawalls will increase. 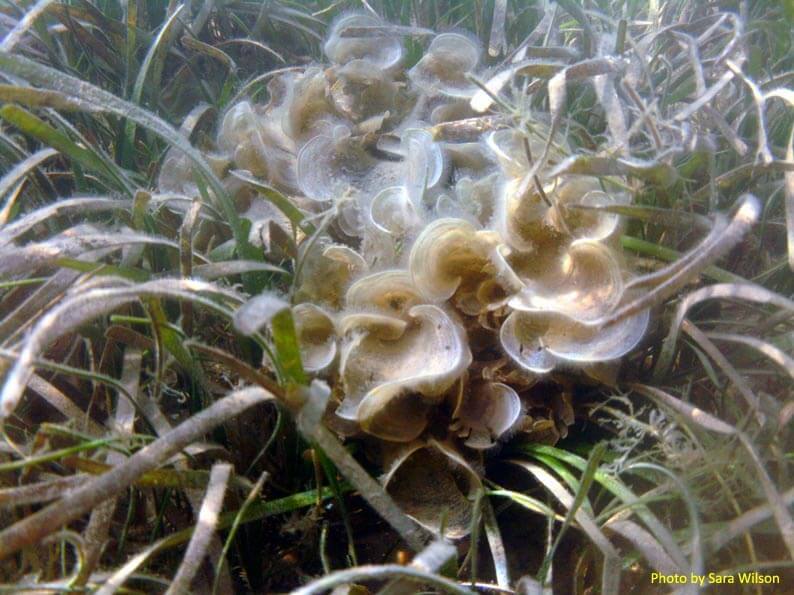 These structures alter hydrology patterns, potentially resulting in current flow or wave action redirected to seagrass habitats that are not capable of tolerating these conditions. Dredging is a prominent activity along the Texas coast, especially along the Gulf Intracoastal Waterway and within numerous passes and inlets that must be maintained for shipping and boating activities. Dredging can either physically uproot seagrasses from the sediment, or bury seagrasses with sediment. In addition to burial, dredging results in increased sediment loading into the water column, resulting in increased turbidity and reduced water clarity. 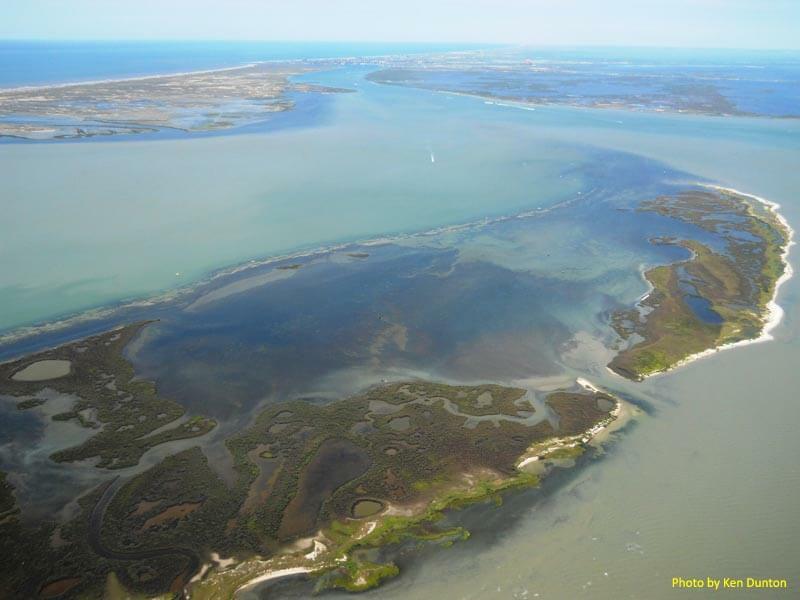 Dredged channels can also alter hydrodynamic regimes within bays and estuaries. Finally, commercial and recreational boating activities can pose a threat to seagrass habitats. Commercial fishing vessels that utilize bottom trawls or dragging techniques damage the seabed. Seagrasses residing in these locations may be physically removed, and remaining roots and rhizomes destabilized and subject to increased erosion that slows recolonization of the disturbed area. 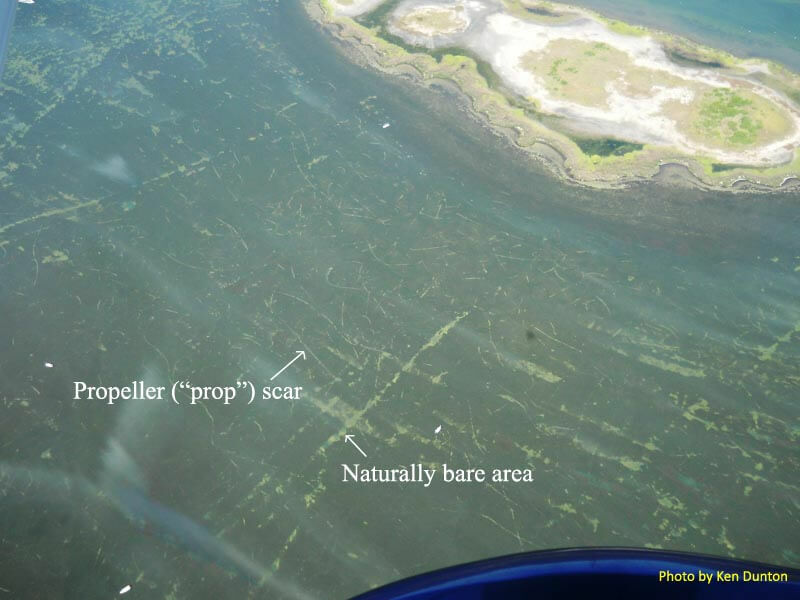 Deep seagrass beds subject to propeller scaring can take up to 10 years to return back to their original healthy state. For information about the "Lift, Drift, Pole or Troll - Protect Texas Seagrass", please visit the TPWD website.